Good soil is the key to a good garden! Plants need three essential nutrients in the soil to survive, thrive and flourish. These nutrients include Potassium, Phosphorus and Nitrogen. Other nutrients like calcium, magnesium and sulfur also play a vital part in plant nourishment. Chemical/synthetic fertilizers available commercially are made with highly concentrated forms of nitrogen, phosphorus and potassium. Fertilizer packaging usually show N-P-K values for each product. 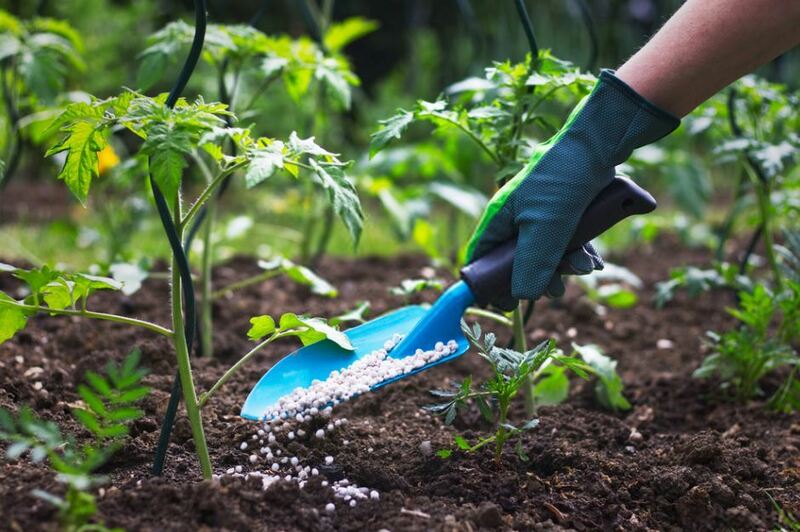 Synthetic fertilizers show effects immediately as they feed the plants directly, but like every artificial product has its adverse effects, synthetic fertilizers do not improve the soil itself rather directly provide nourishment to the plant. With time they can destroy the beneficial microorganisms needed for a healthy soil. Organic plant-based fertilizers are usually made with alfalfa meal, cottonseed meal, or fish emulsion for nitrogen, bone meal or rock phosphate for phosphorus and kelp meal or granite meal for potassium. Natural fertilizers are not only easy to make but also cheaper and made from components you already have at home and might even just throw out. Whether its organic material from leftover food and grass clippings or some plant or animal remains, making your own organic plant food is easier, fun and fulfilling. Composting is the best way to grow a successful home vegetable crop, but if your soil is lacking essential nutrients or if you are planting a more demanding vegetable, then an organic fertilizer would be advised. Organic/natural fertilizers don’t provide nutrients directly to the plants rather just to the soil. This means that they work slowly, first breaking down in the soil into simpler forms that are absorbable to plant roots, then making their way up the plants for nourishment. Bananas are good for your health as well as for your plants because they are rich in potassium. Bananas also provide calcium and phosphorous making them a perfect fertilizer for flowering plants and fruit bearing trees. Roses especially love potassium. The right compost ingredients can develop long-term fertility and give you an amazing bloom. Simply throw the banana peels at the base of your plant before planting and let it decompose. Natural degradation will allow the soil to soak up the potassium, boosting the fertility of your soil and giving you bigger rose blooms. You can also freeze overripe bananas and then bury them next to your plants. Another way to use banana peels for houseplants is by making a spray by soaking banana peels in water for three days and then spraying it onto your plants or seedlings to add the required nutrients. Leftover coffee grounds are the most conveniently available thing at home that can be used to enrich the soil. We all start our day by discarding coffee grounds from yesterday and putting in fresh ones in the coffee maker to prepare today’s cup of joe. Get high quality coffee makers in UAE from UAE Ekuep. Coffee grounds provide nitrogen and help increase the acidity in the soil. They are also rich in magnesium, copper, potassium, and phosphorus. Coffee grounds can work wonders for acidic plants like roses, hydrangeas, magnolias, evergreens, azaleas, camellias, tomatoes, blueberries, avocados and several other fruit trees. There are many ways to use leftover coffee grounds. You can either just work your grounds into the soil at the base of your plants without composting as it tends to break down quickly when mixed in, or you can use it as a soil drench. Simply take 6 cups of coffee grounds and mix in 5 gallons of water. Let the mixture settle down for 3 -4 days, then saturate the soil around your plants. If your soil is deficient in magnesium, tomato leaves can get yellow between the leaf veins and fruit production can also slow down. Make sure you test your soil every 3 years check all its nutrient levels. Epsom salt isn’t just cheap but also extremely rich in magnesium and sulfur. Gardeners use it while growing tomatoes, peppers and roses as it helps produce more flowers, much greener plants and higher yields. Epsom salts not only make plants greener and bushier but also increase healthier fruit production later in the season. It also helps to reduce blossom-end rot in magnesium-deficient soils. Simply take a tablespoon of epsom salt and mix in a gallon of water. Feed this to your indoor and outdoor plants. For roses, experts recommend applying 1/2 cup of granules in spring before new buds start opening and 1/2 cup in fall before leaves start to drop. Make a foliar spray of 1 tablespoon per gallon of water per foot of shrub height and apply after the new leaves and flowers blossom in spring. Egg shells are nothing but waste for us that we typically throw out everyday, but did you now that this apparent waste product can be an amazing fertilizer for your plants. Calcium is a crucial plant nutrient that has a fundamental part in cell manufacture and growth. Eggshells are 93% calcium carbonate which means they can help improve growth. Calcium is also required by roots at their growing tips to grow effectively and calcium deficient soils can cause blossom end rot on tomatoes and various other garden catastrophes. Calcium from eggshells can not only prevent rotting of roots but it can also be used as a soil conditioner replacement for lime and help save plants seeds. All you need to do is simply crush up used egg shells and bury them in the soil. You can also prepare a spray. Add 20 egg shells in a gallon of water and boil for a few minutes. Leave it overnight. Strain the shells and put more water in the spray bottle to spray directly onto your soil. Fireplace ash contains nutrients like calcium carbonate and potassium. It can also be used as a replacement for lime. All you need to do is add the fireplace ash to the to the soil by massaging or working it in or laying fertilizer on the soil bed. 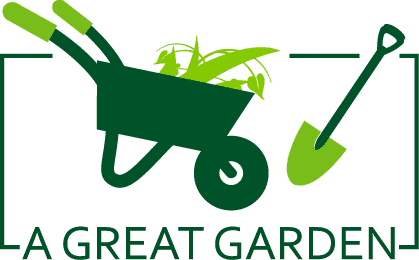 The ideal time would be to do this right before planting so that you don’t risk knocking your plants over or damaging them while reaching for the soil bed. Make sure you don’t use this fertilizer on acid loving plants as ash can make soil slightly alkaline in nature. You can also make a liquid preparation of ash. Take 3 pounds of wood ash and fill it in a linen bag or pillowcase. Drop this into a 50-gallon barrel or garbage bin for 1 week. You can on use this on a 2,000 square foot plot. Fish waste emulsions have been used since centuries for nourishing plants. They are also a constituent of commercially produced natural fertilizers. Fish waste contains a balanced blend of nitrogen, phosphorus, and potassium that can turn out to be incredible for your plants. If you have a fish tank at home, you probably clean it every few days. So the next time you clean it, remember to save the water in a bucket and use it to fertigate your plants. Make sure you remove any new born fish from that water. Also, never use water from a saltwater tank.